Sea turtles won't be the only ones looking to the sky this week. The Perseid meteor shower will peak late Wednesday night through Thursday morning, and the show should be even more visible than usual because it's timed with the new moon. For the sky’s most dedicated stargazers, the best time to watch will be at 4 a.m., when up to 100 meteors per hour should be visible, according to NASA. The shower’s name comes from the constellation Perseus, which is where all the meteors appear to come from. In actuality, the meteors come from trails of dust left by comets as they circle the sun. When these bits of comet dust (or meteors) come in contact with the earth’s atmosphere, they burn up and become the shooting stars we love to see. 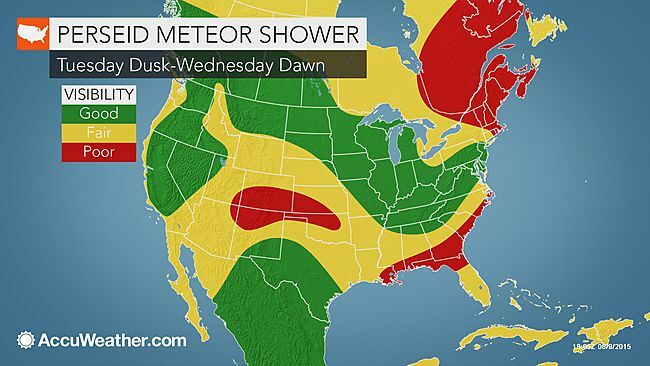 According to AccuWeather, people in states like Nevada, Montana or Kentucky will have the best view of the meteor shower. Because of the darker, moonless sky that night, visibility in our area should still be fair, but those who can get away from the city lights will likely see the most meteors. In Stuart, head to the beach to watch the meteors on the cool sand. Bring towels and coffee to stay awake and comfortable as you wait for the light show. You don't have to miss the meteor shower if you feel like staying in. Set up blankets in your backyard to watch just steps from your kitchen, where hot chocolate and tea can be made to complete the experience.